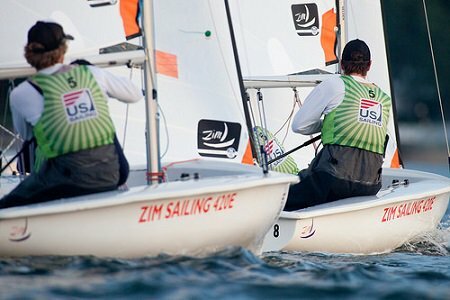 The national governing body for sailing activities in the US is US Sailing. The organization has taken up a new facility in Bristol of RI and here Jack Gierhart oversees the activities of the organization as the Chief Executive Officer. One could begin to recount the history of the US Sailing’s offices as has been over the years. The initial office had been at 44th Street, which was the home of the New York Yacht Club based in Manhattan. The office then moved to Goat Island, which could only hold about two or three people. The growth of the organization, then led the office to move to Portsmouth. This has been the location of the office for the last two decades. The office space was enough and there was flexibility to increase space if required. However the layout of the space consisted of hallways and small offices and hence collaboration was difficult. With several volunteer committees that do most of the activities for the organization, the structure of work demanded that the volunteers could be given more time and the administrative staff could take over the more tedious tasks from them. The organization today has about nine to ten departments that focus on committee based work. There is a youth department, a competitive service and an adult department which deals with respective segments of customer queries. To support these departments has been expanded and there is a training department, which includes safety rules, hands on training and race administration. The organization today has focused on procedures and processes that are efficient, sustainable and standard. The offices are being digitized and so forth. Hence it was felt that the space that the University could provide has definitely helped the organization to run its operations more efficiently as per their 21st century work ethics and structure.